Remember to measure your pet for the paw-fect fit.Â Protect your precious pet from the cold with the Gooby Fleece Vest dog hoodie. Made from 100% polyester, this vest is just what your furry friend needs in cooler weather, thanks to its soft and warm feel. The O-ring on the back allows you to attach his leash without a hitchâ€”no need to pull out a collar or a harness. Just clip on the leash and get ready to face all the elements, while your style-loving pooch is in his element, thanks to the variety of coat-complementing color options. Designed just for the little guys, itâ€™s a big dose of fashion and function that both of you will enjoy. Fleece vest is perfect for protecting your dog from the cold weather. Made with 100% polyester that is ultra-soft and warm. O-ring on the back allows for leash attachment without the need for a collar or leash. Comes in a variety of colors to complement every type of coat and style. Designed especially for smaller pets, it's a cozy hoodie sure to paw-lease during the winter. Body:Â Measure the base of the neck to the base of the tail. Add 2 inches for comfort. 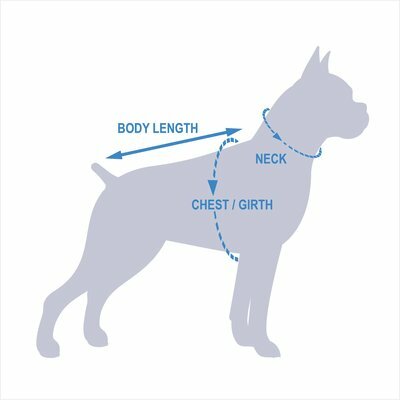 Neck:Â Measure around your dog's neck leaving room for two fingers. Chest:Â Most important measurement; measure your dog's chest around the widest part. Add 2 inches for comfort. Please note:Â This product is designed and recommended for smaller dogs under 30 lbs. Large sizes don't necessarily mean it will fit a large breed dog.